Here is an interesting hypothetical. 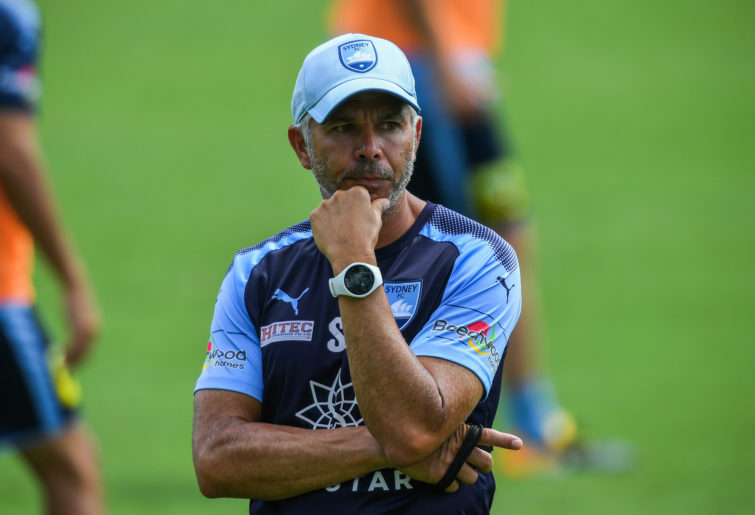 If asked nine months ago whether new Sydney FC manager Steve Corica or previous Sky Blues boss and new Socceroo mentor Graham Arnold would be under the most managerial pressure in 2019, I would have said Corica in a heartbeat. In fact, there was enough evidence to suggest that Corica was about to embark on an intense tightrope walk without a net. After rebuilding, Arnold had avoided such a journey and rode a wave of success; driving his squad to a period of sustained success the envy of all A-League clubs. Premier’s Plates rolled in, a championship followed and an FFA Cup was added to the trophy cabinet. 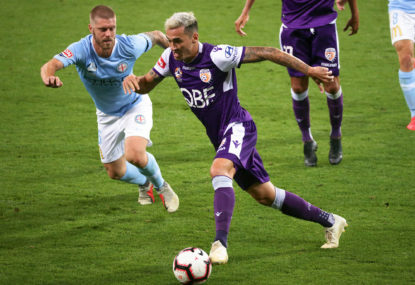 In the end, Sydney FC built an impressive array of statistics with 40 wins from 54 matches over two A-League seasons, with just four measly losses in home and away play. It was a golden period for the Sky Blues yet one the fans feared would end if the grumpiest of all smurfs took a lucrative offer elsewhere; just as he had done when he departed the Mariners in 2013. 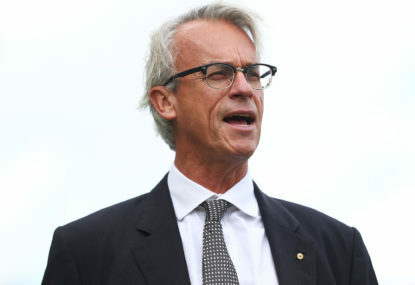 As expected, Arnold received the tap on the shoulder for which he had hoped and craved, ever since his first taste of individual control of the Socceroos in 2006-07. To many it seemed logical and natural. Surely the man at the helm of the most consistent and dominant team on the domestic landscape was the proven performer; deserving of the seat left vacant by Bert van Marwijk after the 2018 World Cup in Russia? Kevin Muscat may have disagreed, as did many sections of the Melbourne media. There is no doubt that Robbie Slater and Mark Bosnich felt differently and the conspiracy theories around Ange Postecoglou’s departure and Arnold’s eventual appointment still fester to this day. Slater’s Twitter exchange with respected sportswriter Richard Hinds over the weekend reminded us all of the animosity still held by some, as well as re-affirming Slater’s rather negative opinion of Postecoglou and his expert use of profanity. If you missed it, look it up. It was well worth the price of admission and the box of popcorn, as the two went head to head over the Socceroos Asian Cup performance and other peripheral issues. I digress. 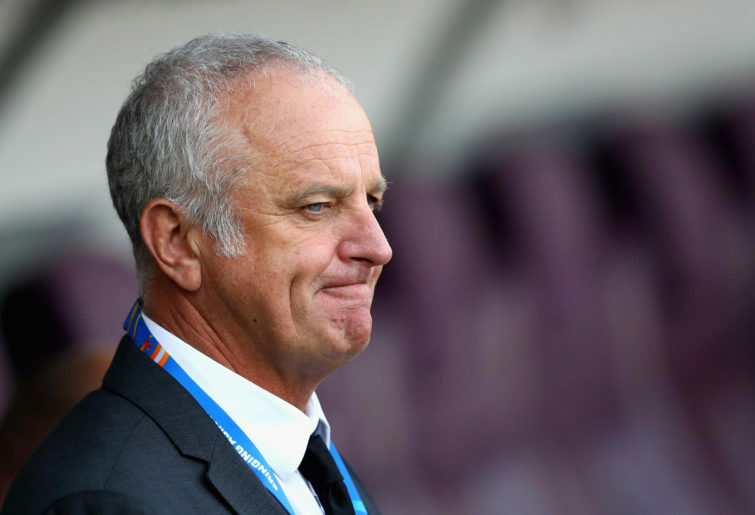 But Graham Arnold it was and now, some nine months later, he is well and truly under the pump. The Asian Cup campaign will long be remembered as a failure. Struck by injury and interruption, the squad failed to produce the kind of football the manager had promised. In fact, much of it was pretty hard to watch. In retrospect, it loomed as a doomed campaign with Aaron Mooy and Martin Boyle absent and Matthew Leckie, Andrew Nabbout and Tom Rogic struggling with injury during the tournament. The fallout of a quarter-final exit as defending champions will be less about the result and more about the reality of the style and effectiveness of the football played. Frankly, the Socceroos looked like the seventh or eighth best team in Asia. Many had been hoodwinked into believing the side were capable of something far greater yet the tournament perfectly reflected the World Cup Qualification campaign that the Socceroos navigated by the skin of their teeth. 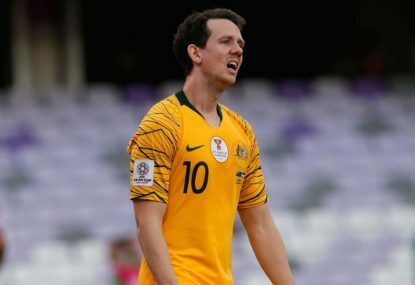 Arnold will feel the heat in coming months and with the Socceroos upcoming challenges yet to be slated, he may have to suffer some intense scrutiny in that period and wait some time to get back in the saddle and prove the doubters wrong. Contrastingly, Corica is trucking along very well indeed. Inheriting a team that farewelled Jordy Buijs, Bobo, Adrian Mierzejewski, Matt Simon and Luke Wilkshere appeared to be a baptism of fire. Recruitment decisions that brought Siem de Jong, Jop van der Linden, Trent Buhagiar, Daniel De Silva and Adam le Fondre to the club were filled with promise, yet it would be Corica’s task to rebuild his entire attacking force with the ever reliable Milos Ninkovic and Alex Brosque as the fulcrums. As of Round 17, it has proven nothing but a resounding success and the Sky Blues sit third with 11 wins and 2 draws to show for their work. Even more impressive has been the side’s resilience in the face of injuries. After a dynamic start, Buhagiar went down with a knee problem that will keep him out for the remainder of the current campaign. 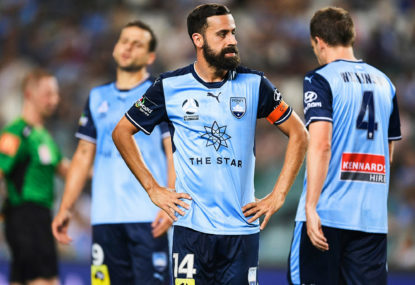 Foreigners van der Linden and de Jong have both had long spells on the sideline and Anthony Caceres, Jacob Tratt, Ninkovic and Brosque have also missed matches with more minor injuries. Throw in Rhyan Grant’s absence whilst on Socceroo duty and the challenges Corica has faced are considerable. 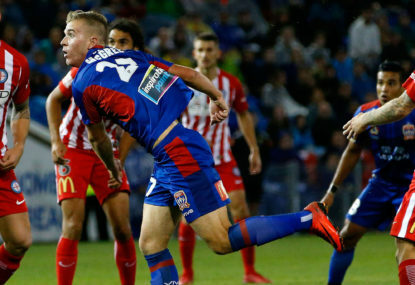 Not only has his team responded, they sit third on the ladder, just five points from the Glory and well within reach of another Premier’s Plate. Sydney fans are prone to implode at the first sign of trouble. Corica has managed to snuffle that tendency with a consistency of performance and positive approach that has produced 31 goals so far this season. Personally, I felt Corica might struggle early with a new squad and take some months to develop effective combinations. I had also hoped that Arnold might be able to steer the Socceroos to the very point end of the Asian Cup play-offs. Wrong on both counts buddy. I guess it is just the nature of coaching and managerial responsibility, but I know which man I would rather be right now.